"Chasing Rays wedding and special occasions portfolio....."
I‘ve had the privilege to act as first or second shooter at a number of weddings and other special occasions, and have included a few of my favourite images from this genre in this portfolio. If you’d just prefer to do a bit of casual browsing, you can view the slider or wall versions of this portfolio by following the links below. These pages might take a few seconds to load. The table lists; one more important detail of the day. Here we see an image featuring, of course, the top table listing. 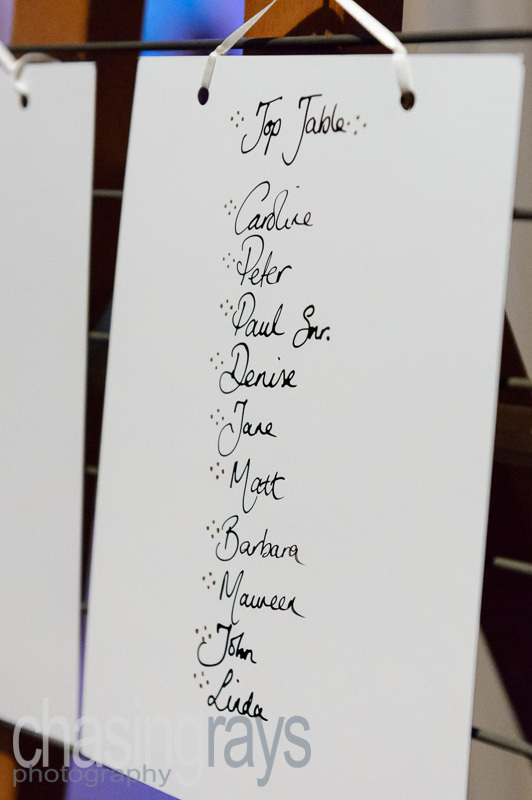 Just a small reminder of the key players on your special day. The bride at this wedding described her husband-to-be, in the vows she'd written herself, as "The hairiest man I've ever met...". 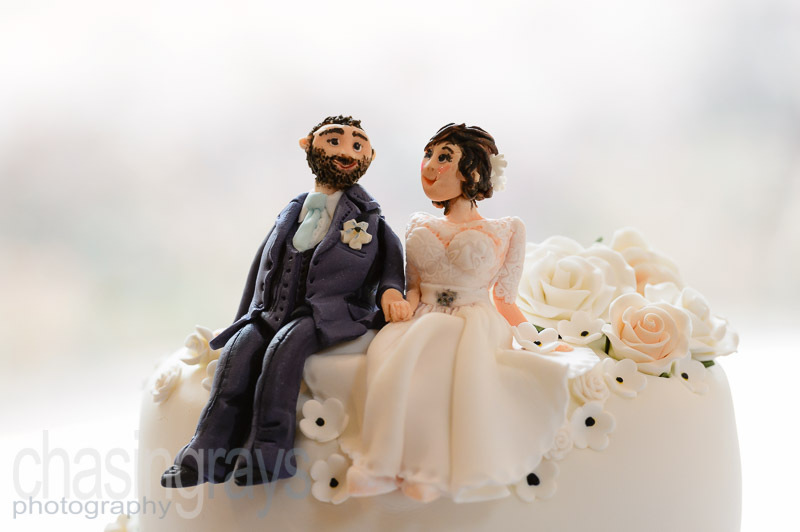 And this custom wedding cake topper reflects that perfectly! 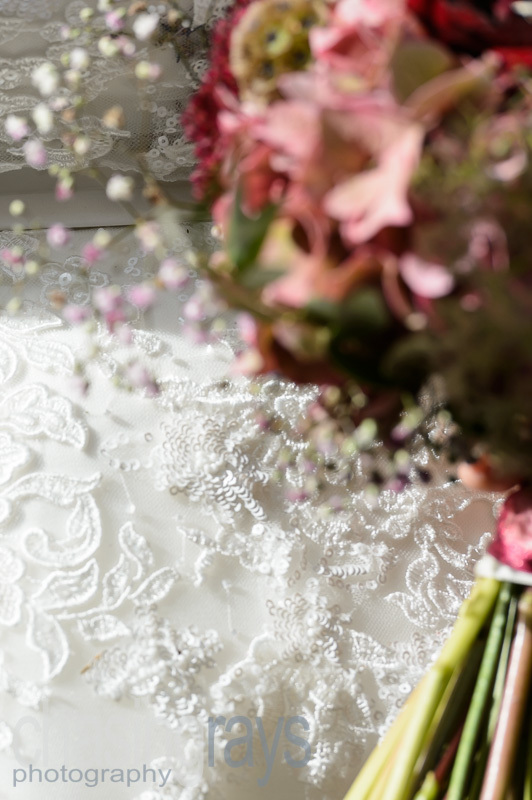 One image that might not occur at first thought is a close-up of the details in the wedding dress. It always seems to be one of those things that one thinks of at a later time, but never on the day. 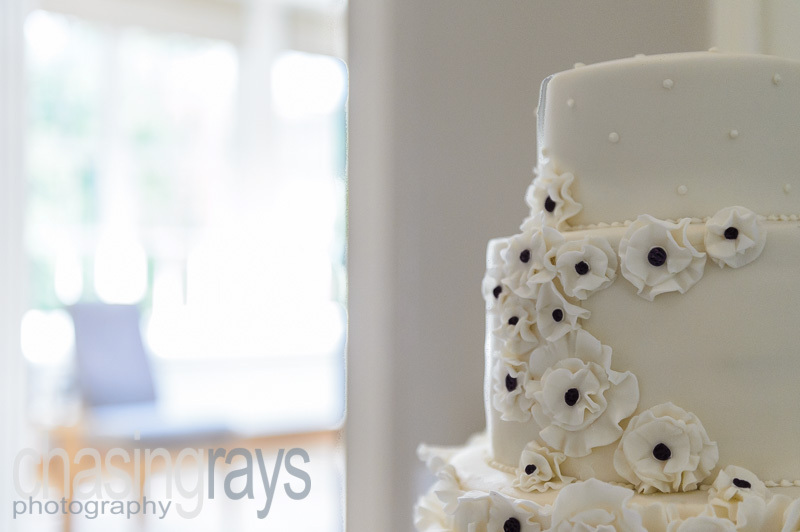 This image uses the soft light from the window to sculpt the edges and details of this wedding cake's decorations. 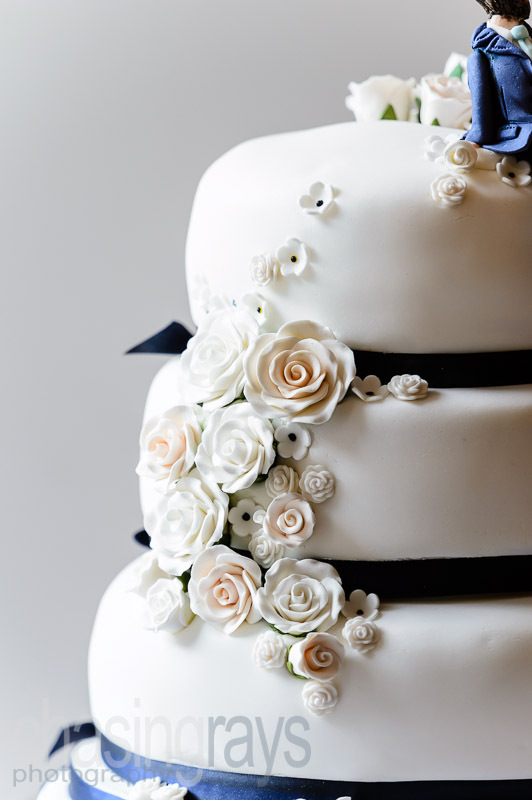 Another example of a wedding cake feature image. 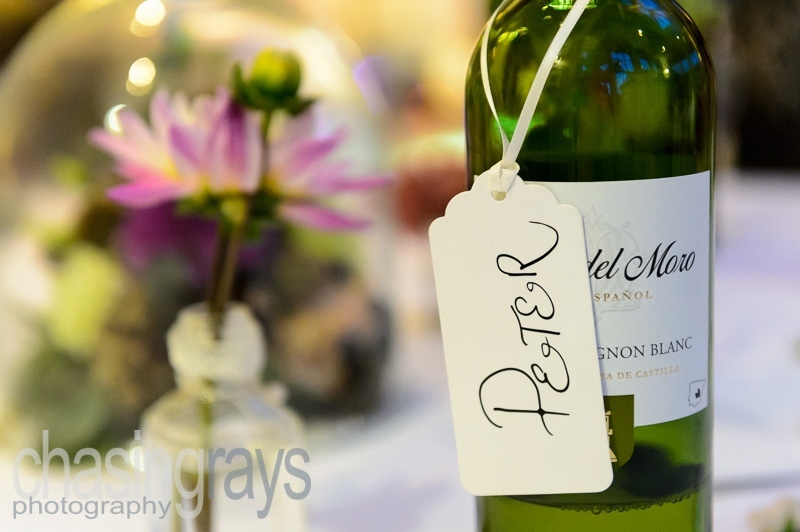 The bride and groom's choice of wine set against the backdrop of the table decorations and with a wedding guest's place card. Several related details all in one. I always like to feature the wedding cake, and quite often images of the cake and its details will make an excellent double page spread in your wedding album. © 2012 Mark Watkins, Chasing Rays Photography. Please note: all errors and omissions excluded.